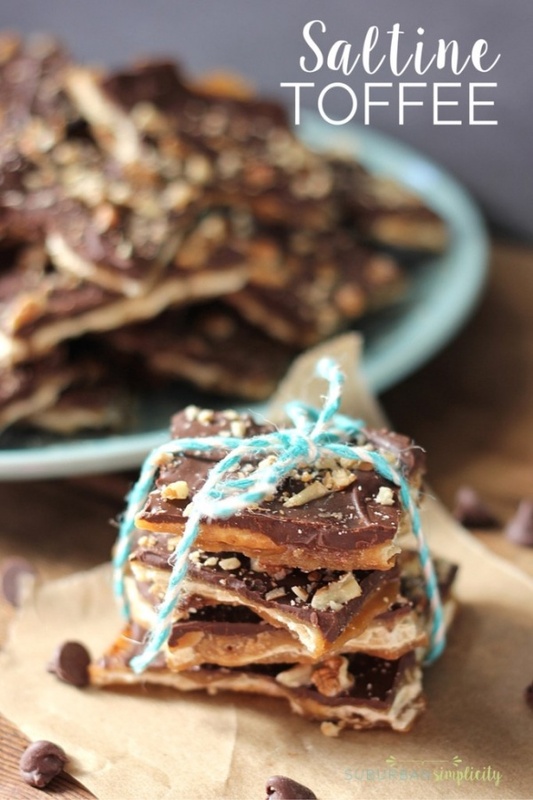 Saltine Toffee That’s Simply Irresistible By Erin | Suburban Simplicity. The buttery goodness of Saltine Toffee is irresistible. This treat recipe is so simple, yet so delicious. Try it and see how fast it disappears – it’s kinda addictive!